Use flowers that smell good such as roses, honeysuckle, lavender, or any flower that just smells lovely. Tear the little flower petals up and put in your cup of water. 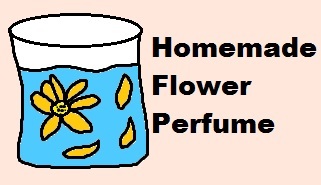 Let the flower water mixture set up for a few days before you use your homemade perfume recipe.